The roots of the Ouija board can be traced to the mid-19th century when a Spiritualist craze was sweeping throughout New York City as well as Europe. The concept of Spiritualism allowed that living people could communicate with the spirits of dead people. Those wanting an audience with a dearly departed family member of friend would seek out a Spirtualist to act as a medium between the two worlds. 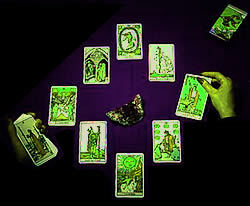 The “medium” would speak for the ghostly spirit, providing guidance, advise and sometimes warnings. Charles Kennard, Elijah Bond and E.C. Reiche are credited with developing the Ouija Board. Kennard said that the term Ouija is an Egyptian expression for good luck and that he was told the name by the board itself. Eventually, William Fuld took over the company after Kennard lost his riches. William Fuld was on the roof of his factory in Baltimore to supervise the replacement of a flagpole when he fell to his death. Witnesses said it appeared to be an accident but since fiction is often times more interesting than truth, people began spreading rumors that Fuld committed suicide and that he was posessed by the Ouija Board’s spirit. Playing with a Ouija Board is not a harmless, innocent game. The Spirit world is very real and some doors should never, never be opened. It is not possible to communicate with the spirits of dead people, but clever, powerful, deceptive demons have succeeded in convincing many people that it is. God is very clear about these matters. Remember that in Genesis 3, Eve, who was totally innocent, was deceived by the serpent who is the Devil. 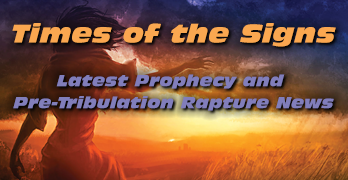 To this very day the world is still suffering from the consequences of Eve being deceived by the serpent. But Jesus paid for this sin by dying on the cross. Jesus is coming back soon to make things right and to restore the world to the state of perfection that God always intended. But woe to the earth and the sea, because the devil has gone down to you! He is filled with fury, because he knows that his time is short. If a prophet, or one who foretells by dreams, appears among you and announces to you a miraculous sign or wonder, 2 and if the sign or wonder of which he has spoken takes place, and he says, “Let us follow other gods” (gods you have not known) “and let us worship them,” 3 you must not listen to the words of that prophet or dreamer. The LORD your God is testing you to find out whether you love him with all your heart and with all your soul. 4 It is the LORD your God you must follow, and him you must revere. Keep his commands and obey him; serve him and hold fast to him. 5 That prophet or dreamer must be put to death, because he preached rebellion against the LORD your God, who brought you out of Egypt and redeemed you from the land of slavery; he has tried to turn you from the way the LORD your God commanded you to follow. You must purge the evil from among you. Christians must not accept any prophecy of Nostradamus as being legitimate, no matter how compelling, on the grounds that he was an astrologer and many of his so-called prophecies failed. Christians should avoid being enticed by a desire to know the future apart from what God’s Word tells us. The wrath of God is being revealed from heaven against all the godlessness and wickedness of men who suppress the truth by their wickedness, 19since what may be known about God is plain to them, because God has made it plain to them.For since the creation of the world God’s invisible qualities–his eternal power and divine nature–have been clearly seen, being understood from what has been made, so that men are without excuse. Moto/Creed: "An' it harm none, Do what thou will." "Do what thou will shall be the whole of the law"
Symbol: Pentagram with point up. Pentagram with point down. Attitude towards God: Rejects God. Rejects God. Name of their Horned god: Herne, Cernunnos or Pan. Satan, Lucifer, the Serpent, the Devil. Worshiping anything or anyone other than the Lord is called ‘idolatry’. Lower level initiates of Wicca believe everything they hear and read and will argue that Wicca is the “Old Religion” that it predates Christianity, who believe that they worship nature deities. “Higher Ups” who know that the god they are truly worshiping is Satan. The truth is that Wicca does not predate the worship of God, it developed as opposition to God. No one can argue that God hasn’t made it abundantly clear that we are to have NOTHING to do with anything occultic, but you might say, “this is just entertainment, it’s not real”, to which I’d like to point out that J.K. Rowling did her homework, the content is actually very real in terms of the symbolism, incantations, and I believe may even include the names of demons. Keep in mind that in a movie like Harry Potter there are no accidents, every scene, every set, every prop, every symbol was intentionally and thoughfully included. Nothing is by chance. And now, dear brothers and sisters, let me say one more thing as I close this letter. Fix your thoughts on what is true and honorable and right. Think about things that are pure and lovely and admirable. Think about things that are excellent and worthy of praise. If the world hates you, keep in mind that it hated me first. If you belonged to the world, it would love you as its own. As it is, you do not belong to the world, but I have chosen you out of the world. That is why the world hates you…. Remember the words I spoke to you: … If they persecuted me, they will persecute you also…. for they do not know the One who sent me. Horror Movies and Occultic Movies: Charmed, The Craft, Bewitched, Blair Witch Project, The Sixth Day, etc. I can think of no good reason to willingly expose ones mind and spirit to the ugliness and evil which these films glorify for the sake of money. Why not just go swimming in a sewer instead? Q: Can somebody who doesn’t know you tell you very specific things about your past that are true? How can they do this with such uncanny accuracy? Do they really have a ‘psychic gift’? No, the greater liklihood is that they have opened themselves up to receiving information from the spirit world. Keep in mind that demons have been around for a long time. There are demons who know details of the lives of every one of your ancestors who they have watched live and die. But why would you ever want to listen to anything spoken by demons who hate you and want to see you fail, reject God and his gift of everlasting life? Satan and his demons know that their fate is to spend eternity in Hell so their resentful, angry, hateful objective is to take as much of God’s creation with them. Q: Can anybody tell you what is going to happen to your tomorrow? A: No, not with any statistically valid results atleast….but many so-called ‘psychics’ will guess about what it is that you want to hear, for a price of course. Who calls these psychic hotlines? For the most part I’d have to say that people who do not know God or his Word, or people who live in fear of tomorrow. Any type of psychic is the same thing as a ‘medium’ as spoken of in Deuteronomy 18:10-11 at the very top of this page. Ask God for direction, read his Word daily, pray often….be still and listen. All the counsel you have received has only worn you out! Let your astrologers come forward, those stargazers who make predictions month by month, let them save you from what is coming upon you. Surely they are like stubble; the fire will burn them up. They cannot even save themselves from the power of the flame. Here are no coals to warm anyone; here is no fire to sit by. That is all they can do for you- these you have labored with and trafficked with since childhood. Each of them goes on in his error; there is not one that can save you. The scripture above states clearly that the advice of astrologers is worthless…so don’t be a sucker. What more needs to be said?